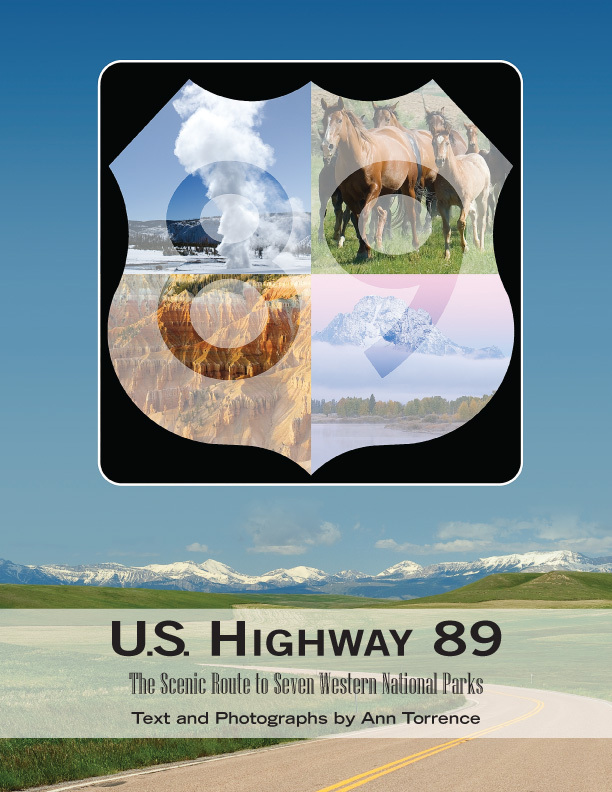 I drove over 15,000 miles to research and photograph my first solo book, U.S. Highway 89: the Scenic Route to Seven Western National Parks (published by Sagebrush Press, 2009). The Highway 89 project documents this Canada-to Mexico transect as I explored myths and realities of the American West. As I traveled, I found enduring grandeur, quirky remnants of the golden age of motoring, and small towns reinventing themselves for the 21st century. The road-trip mystique still resonates in American culture, and unlike Route 66, Highway 89 is a living link to the history of motoring in America. Some of the places photographed are already lost, to suburban encroachment, to neglect, to natural forces and decay. Rural communities are confronted with change brought by urbanization, technology, tourism, and even the highway itself. My photographs witness the ongoing reinvention of the west into lifestyles that meld traditional heritage with 21st century lifestyles. Much of the iconography of the American West is drawn from places along US89: the great tableaux of Yellowstone and Grand Tetons, the Sonoran desert and the Colorado Plateau. I spent three years photographing these majestic places. In the process, I discovered that the people I met along the way form the true character of the American west. Highway 89 traced a 1,600 mile route from Nogales, Arizona to Piegan, Montana, until 1992 when the federal government decommissioned the Nogales to Flagstaff segment, handing over the pavement to the State of Arizona; US 89 now begins west of Flagstaff. Over the decades, traffic planners have reengineered the 1927 route for safety and speed, but less than 300 miles of the two lane road have been overlaid by the interstate freeways built starting in the 1950s. My project encompasses the full historic route as established in America’s first transcontinental highway system. Seven national parks (Saguaro, Grand Canyon, Zion, Bryce, Grand Teton, Yellowstone and Glacier) and numerous other federal and state parks and recreational areas are accessed by the route. Highway 89 links Phoenix, the nation’s 5th most populous city, to regions where cows far out number people. Sixty miles in Arizona were co-numbered with Route 66. The road cuts through both the Navajo and Blackfeet reservations, the continental divide and across rivers that drain into the Pacific, Atlantic and Arctic Oceans. Every east-west migratory route in the westward expansion of the United States transected the route, from Lewis and Clark’s portage at Great Falls, Montana, the Oregon Trail in Montpelier, Idaho, to the first transcontinental railway in Ogden, Utah.